Daniel has a diverse background in commerce with his working experience encompassing quantitative analysis roles within the property, mining, information technology and finance industries. His primary experience has been to develop financial models for use in the evaluation of business decisions. Daniel has been exposed to a varied spectrum of cultures and organisations, with over seven years of experience working on private and public projects in both Australia and Canada. Created a discounted cash flow model for the assessment of multi-million dollar real estate project for a property development company. Prior to joining Nous Group, Daniel worked as an analyst for property developer Lex Capital, creating financial models and forecasts. He also held financial roles at software companies Geovia & Visier Solutions in Vancouver and as a valuer for Landgate in Perth. 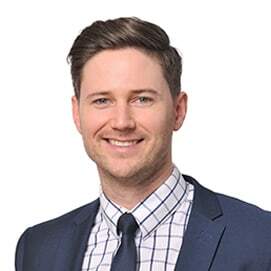 Daniel holds a Bachelor of Commerce (Property) and a Master of Finance from Curtin University. Daniel enjoys spending his time in the great outdoors, particularly the beach. His other interests include live music, guitar, film and sport.